Monkeys fascinates people regardless whether they are caged in a zoo, performing in a circus or jumping around in an open jungle. Monkeys are the most mischievous animals. 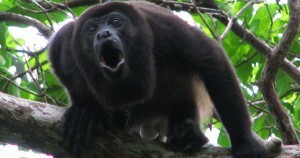 Howler Monkeys are the largest new age monkeys and they are found in central and south America. Appearance wise these animals have large nostrils, weight about 10 kg and they are about 6 feet. These monkeys have prehensile tail to have firm grip on tree branches and it is as helpful as moneys ribs. 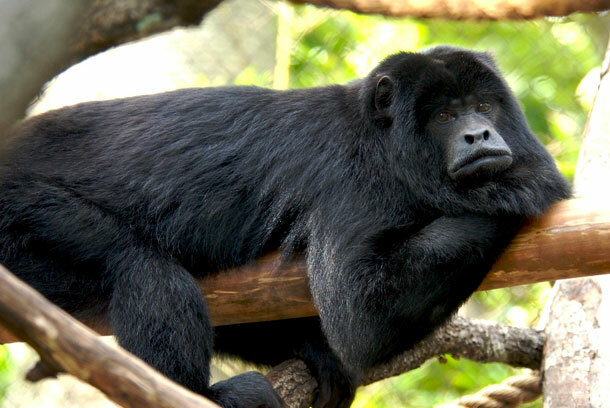 They have thick brown or black hair around their body it enables Howler monkeys to hide when predators attack. If attacked in water Howler monkeys can swim to tackle predators. Unlike the old world monkeys who are found in Asia the new world moneys are found in America. Besides Howler Monkeys new world species includes woolly and spider monkeys.